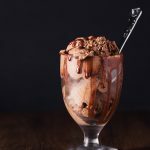 This vegan chocolate ice-cream recipe is a huge hit with the kids! It’s creamy and has lots of chocolate bits inside. For an extra special treat, it can be served with layered honeycomb bits and chocolate sauce. This chocolate ice cream is a huge hit with the kids! It’s creamy and has lots of chocolate bits inside. For an extra special treat, it can be served with layered honeycomb bits and chocolate sauce. Place cashews in a heatproof bowl, cover in boiling water and soak for at least 30 minutes before completely draining. Add all ingredients to a blender or food processor, except the dark chocolate, and blend until smooth. Pour into freezer-proof container and freeze until solid. Spoon into a blender or food processor and blend until smooth. 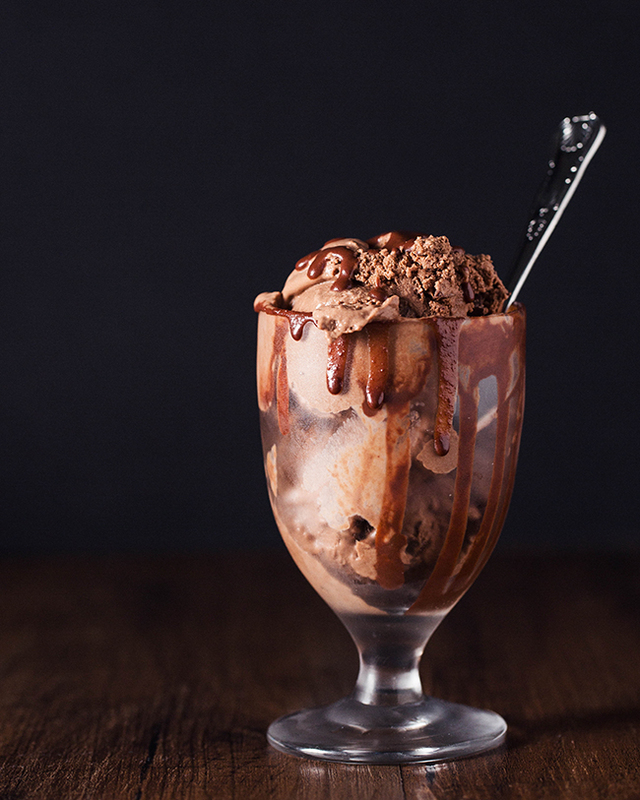 Chop or shave the dark chocolate and mix through ice-cream. Pour back into container and refreeze until set, then serve. Recipe taken from Scrumplicious Sweet Treats cookbook by Stacey Forsey, available to purchase at www.staceyforsey.co.uk.